To predict exudative age-related macular degeneration (AMD), we combined a deep convolutional neural network (DCNN), a machine-learning algorithm, with Optos, an ultra-wide-field fundus imaging system. First, to evaluate the diagnostic accuracy of DCNN, 364 photographic images (AMD: 137) were amplified and the area under the curve (AUC), sensitivity and specificity were examined. Furthermore, in order to compare the diagnostic abilities between DCNN and six ophthalmologists, we prepared yield 84 sheets comprising 50% of normal and wet-AMD data each, and calculated the correct answer rate, specificity, sensitivity, and response times. DCNN exhibited 100% sensitivity and 97.31% specificity for wet-AMD images, with an average AUC of 99.76%. Moreover, comparing the diagnostic abilities of DCNN versus six ophthalmologists, the average accuracy of the DCNN was 100%. On the other hand, the accuracy of ophthalmologists, determined only by Optos images without a fundus examination, was 81.9%. A combination of DCNN with Optos images is not better than a medical examination; however, it can identify exudative AMD with a high level of accuracy. Our system is considered useful for screening and telemedicine. 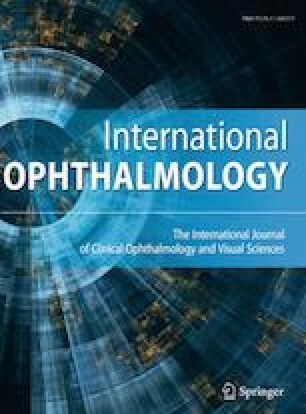 The authors thank Masayuki Miki and orthoptists of Tsukazaki Hospital for support in data collection.